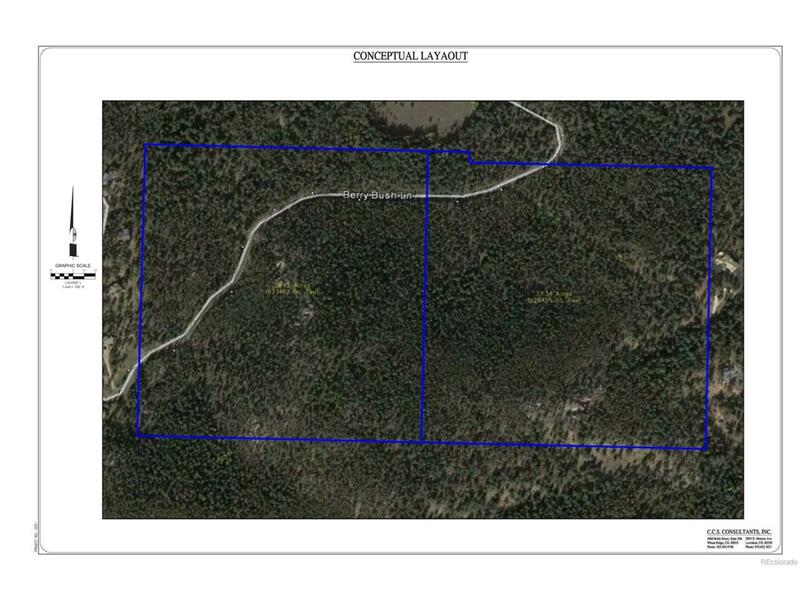 35+ acres of untouched useable land with views of Mt Evans, Evergreen Lake, Bear Mountain, and Shadow Mountain. 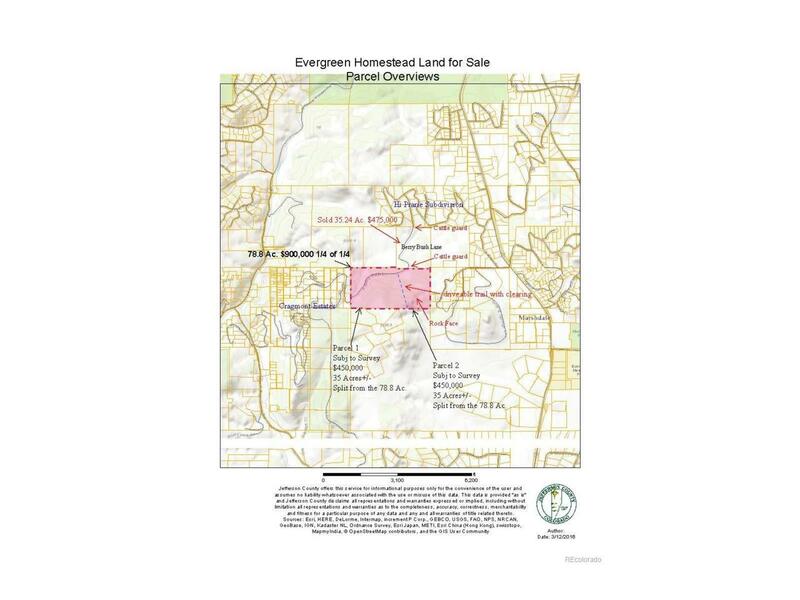 Passed down for decades this beautiful land is newly available for public purchase. Large rock face outcropping highlights the land. 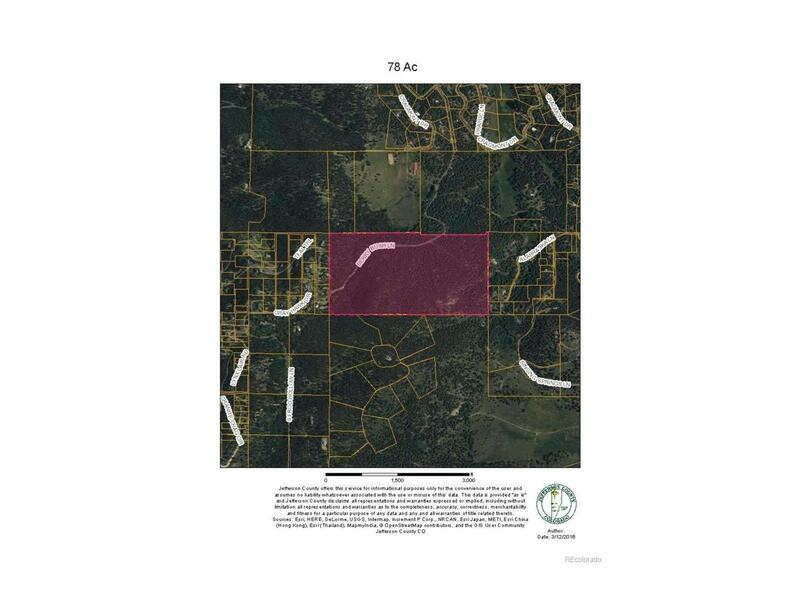 Also available as one large parcel of over 78 acres (MLS#9294072) Electric and phone hook ups currently available. Gently sloping to level useable land with 60wide paved private road.